A photo tutorial on how to make soft boiled eggs in the pressure cooker. This quick and easy method results in perfect jammy eggs each and every time. Thanks to OXO for partnering with me on this post. What kind of tricks have you pulled with your pressure cooker? I admit, my pressure-cooking game has been fairly standard, but I have come across all sorts of ideas on the interweb that use the small appliance in unsuspecting ways. For instance, did you know you can cook a whole chicken, steam a huge batch of vegetables, or even make a cake in the pressure cooker? Pure magic. If you recently purchased your pressure cooker and are anxious to use its many creative functions, I have some stellar news. OXO makes pressure cooking even easier with their line of silicone inserts, designed specifically for your pressure cooker. 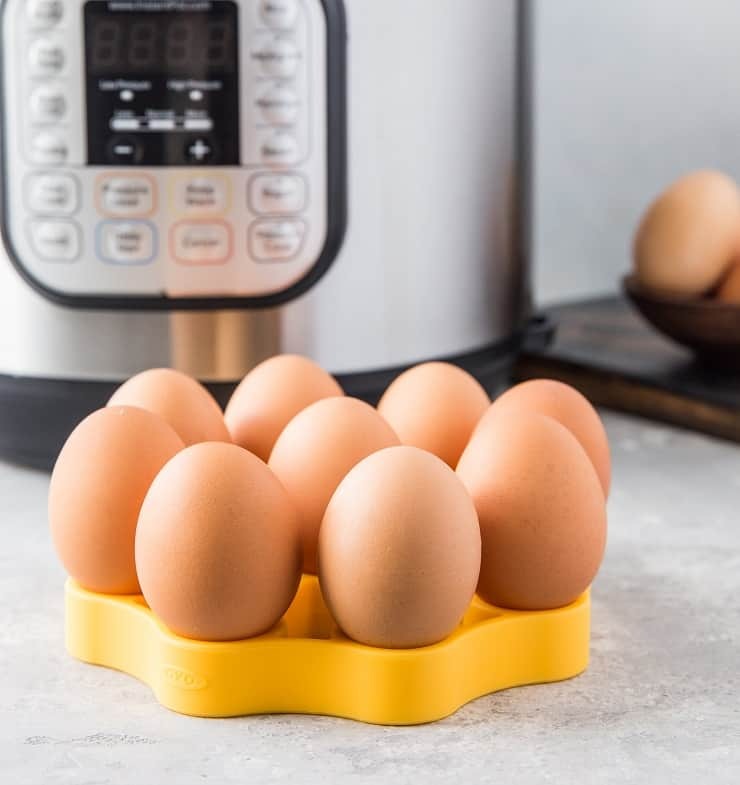 Some of their pressure cooking accessories include a Silicone Steamer, Silicone Sling, Silicone Rack, and Silicone Egg Rack. 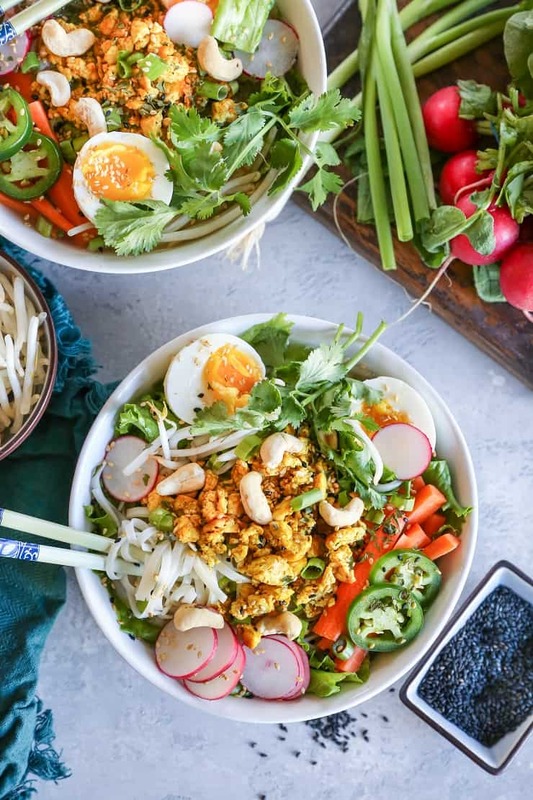 Recently, it dawned on me I could make soft boiled (or hard boiled) eggs using my pressure cooker and doing so would probably save the hassle of hovering over the stovetop, wondering if I’m going to overcook or undercook the eggs. 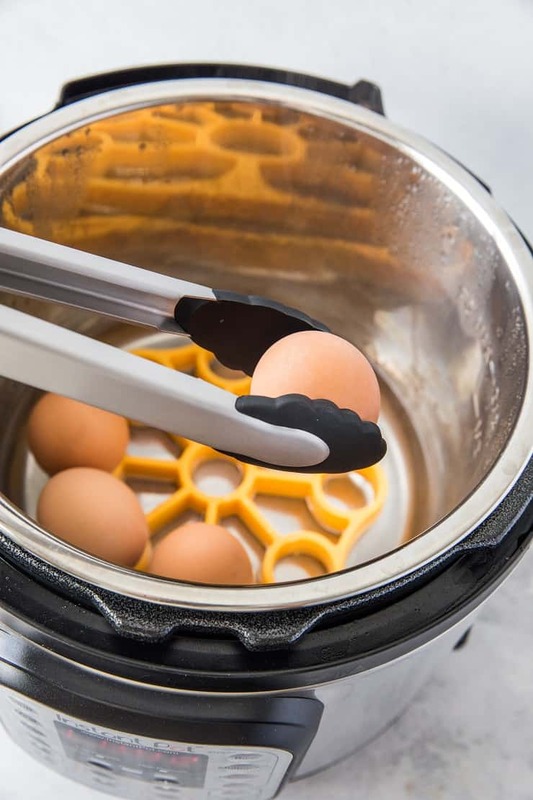 I use the OXO Silicone Pressure Cooker Egg Rack , which makes cooking eggs in a pressure cooker so stinking easy! Rather than guessing using the stove top method, I have a goof-proof How-To for you right here. If you’re like me and you like your eggs soft boiled (or jammy/runny on the inside), you can follow my lead to the T. If you prefer your yolks even runnier, or if you prefer your eggs completely cooked through (hard boiled), see my suggested cook times at the end of this post. Plug in your pressure cooker and fill it with 2 cups of water. 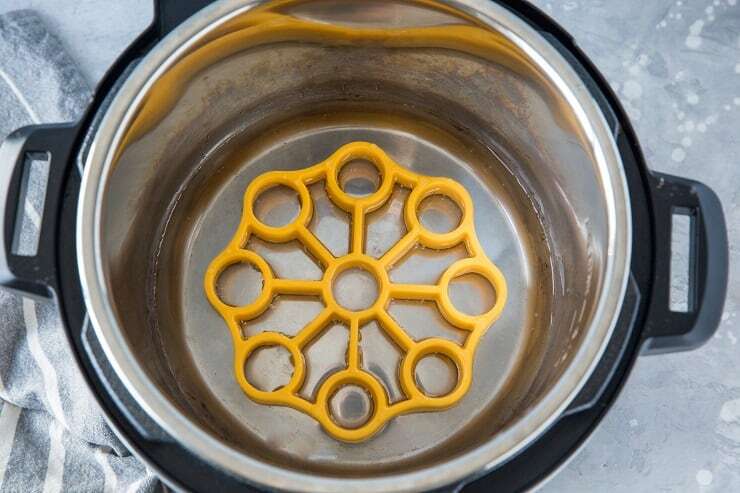 Insert the OXO Silicone Pressure Cooker Egg Rack, then place eggs in the holes. 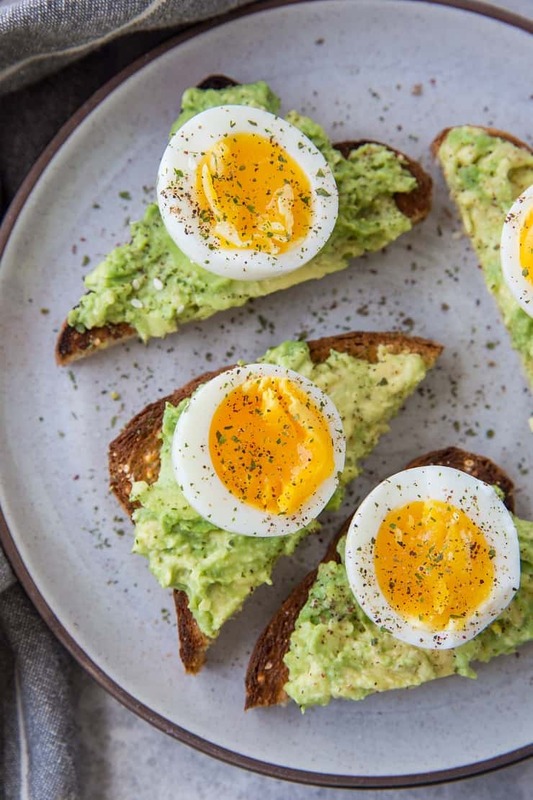 You can cook up to 9 eggs at a time using this method, or you can make more by stacking the racks or less depending on your needs. Secure the lid on your pressure cooker. Set your pressure cooker to the LOW Pressure Cook setting (not high) and set the time for 3 minutes. Keep the steam release set to Sealing. Once the 3 minutes are up, use the quick release valve to release the steam. 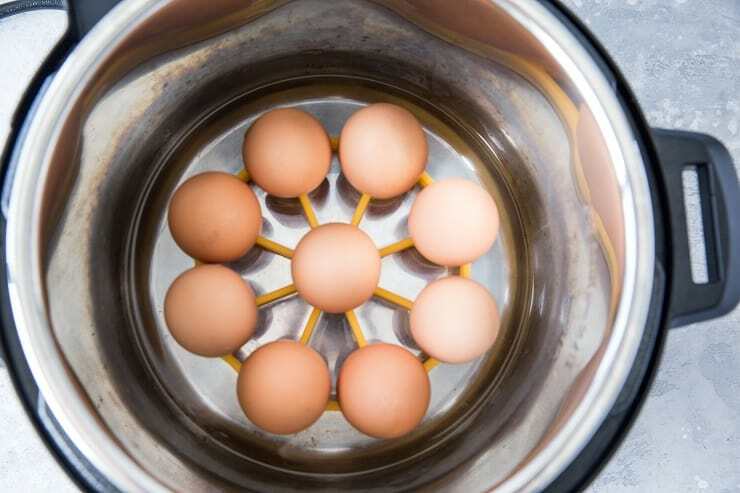 Open the lid and use tongs to immediately transfer the eggs to an ice bath. Allow eggs to chill in the ice bath for 15 minutes. Be sure you don’t skip the ice bath step! It makes the eggs so much easier to peel. I promise, you will never go back. Peel your eggs and eat them however you like! I enjoy mine on top of avocado toast or in ramen. The procedure is the same for all three states – the only thing that changes is the time. I hope you enjoy these quick and easy pressure cooker soft boiled eggs as much as I do! Perfect timing! I do 5 min for hard boiled but couldn’t figure out how to time soft and jammy so this post is perfecto! Danke! I’ve made hard boiled eggs a bunch, but to be honest, it never dawned on me to make soft boiled eggs! Total game changer!